The nutrition and growth effects on children is a topic with growing popularity. Even if there are various associations addressing it from different perspectives, none could give it enough priority or approach it in a wholesome manner. A few forward-thinking key opinion leaders in the field recognising the existing gap and joined hands with Kenes Group to create in 2012 the very first International Conference on Nutrition and Growth (N&G).
" The outstanding achievement of the 2017 Nutrition and Growth Conference was recognised at the 2018 Eventex Awards with third place in the category Best Scientific Congress.	" The nutrition and growth effects on children is a topic with growing popularity. Even if there are various associations addressing it from different perspectives, none could give it enough priority or approach it in a wholesome manner. A few forward-thinking key opinion leaders in the field recognising the existing gap and joined hands with Kenes Group to create in 2012 the very first International Conference on Nutrition and Growth (N&G). 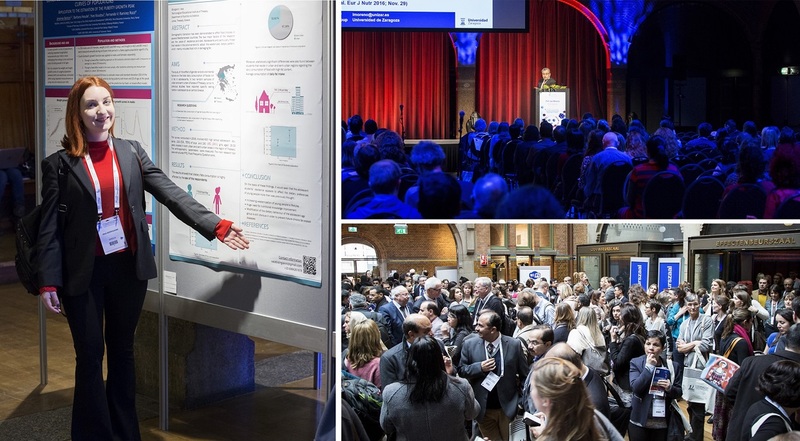 With the outstanding attendance of 1,267 people for a first edition, it was apparent that the professionals in this field finally found the platform for a relevant knowledge exchange. While the event provides a unique stage to discuss the effect nutrition and growth has on children – from disease to treatment, the challenge standing before the fourth edition of the event was how to build a loyal community without the alliance that an association provides. N&G attracts paediatricians, gastroenterologists, endocrinologists, neonatologists, dieticians, nutritionists, nurses and all those involved in child development, who share a passion for exchanging ideas in paediatric nutrition. The drive for this conference is advancing the field in a holistic manner connecting a variety of specialists and specialities. And the drawing factor, that would unite further the community and promote loyal participation and relationship with the N&G brand, was the newly established N&G Abstract Awards. The awards drew professionals in two ways – first, by providing a good stimulation for new research. Second, they created a stamp of quality associated with the N&G brand that everyone in paediatric nutrition and growth would look out for. The new awards recognised young physicians for their work in two categories: neonatology/infancy and obesity. The recipients were selected by the N&G scientific committee and were celebrated during the opening ceremony of the 2017 conference, where each winning abstract received an educational grant of €5,000. Tying grants to abstracts proved a great initiative to help the industry connect with the young physicians who need support to carry out their research and analysis. After promoting the N&G Awards, the successful abstracts that were presented during the congress grew with 48% compared to the 2016 edition. This was also the very first year that N&G took the leap to increase its frequency to an annual event satisfying better the needs of its community. The 2017 N&G saw an improvement in the number of clinical practitioners participating as well as in the industry support, where the event hosted its largest exhibition to date. N&G has a unique physicians/non-physician conference model, with a highly active and engaged community. 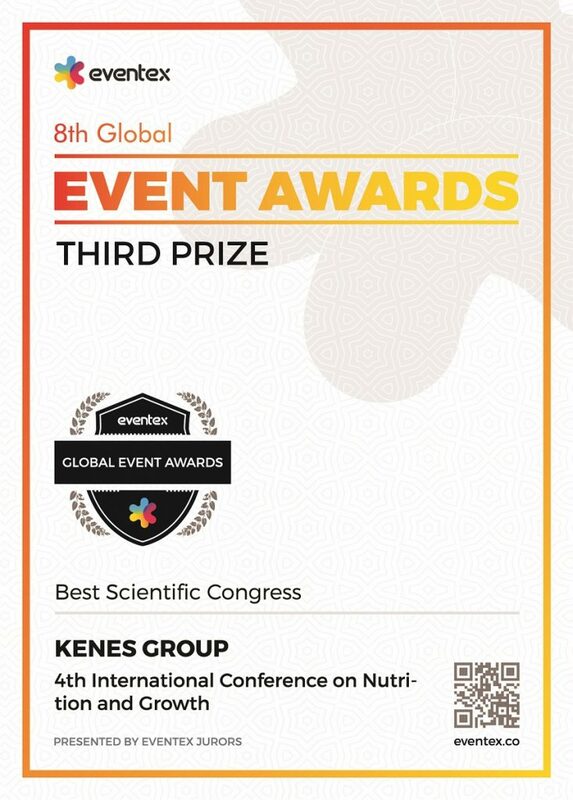 The outstanding achievement of the 2017 Nutrition and Growth Conference was recognised at the 2018 Eventex Awards with third place in the category Best Scientific Congress.